Condolence Notice: Babu Pathil passed away this morning. We express our heartfelt sympathy to Mary Pathil, children and the whole family at the passing away of Babu Pathil. May he rest in peace and let perpetual light shine upon him! Family Night on July 8, Sat? After thoroughly reviewing the calendar of events, at the Parish Council yesterday, we made a decision to conduct our Family Night, CCD and Malayalam School Anniversaries all together on Sat. July 8, at the Knanaya Center. If there is any serious objection due to anything huge happening, please let me now through a reply by tomorrow, Tuesday, Jan 24 6pm. Hope this will be convenient to most of us, although may not be for all of us. Some of us may start traveling even before that time; however the same happened when the date was set for the first weekend of this month as well. No time is the best; but we took in to consideration mostly the availability of our College Students and free time of school kids. Please note also that our Parish Picnic is scheduled for June 24, Saturday. Our parish will have the inauguration of the Youth Year, announced by our Bishop Jacob, on January 22, next Sunday. It will be a simple ceremony with the lighting of the lamp and a short prayer after the sermon. As our HS youth are very active, we wish to invigorate and encourage the faith and social life of the young adults (17 to 35 ages) of our parish. Here is a news letter from Fr. Vinod, the Diocesan Director of Youth Apostolate about the first month of the year. Sunil Tristar send me the information. Today we will take up a second collection for helping the Missions run by the Syro Malabar priests, nuns and lay people in North India and many other poor countries. Half of the amount collected will be donated to Gorakhpur Diocese in North India, with which we have agreed upon a missionary partnership. The other half will be sent to the Mission office of the Syro Malabar center in Kakanad for distribution. Today, all men and women of age between 17 and 35 please write your names, phone and email for contact on the sign up sheet that will be passed on in the church and later available in the social hall. We will inaugurate the Youth Year on next Sunday, January 22 in connection with the feast of St Sebastian, a youth who accepted martyrdom for the name of Jesus. See you at church soon! We express our deepest sympathy to Joseph (Papooty) Thottathimyalil, Cicily Kizhakekattil and Mary Francis Avimootil and all members of family as they mourn the passing away of their grand nephew Cijoy Joseph Kanat (42) in Southampton UK. CARDINAL TIMOTHY DOLAN'S MASS and VISIT. Jan 16, Sunday afternoon repeat time will be announced soon. 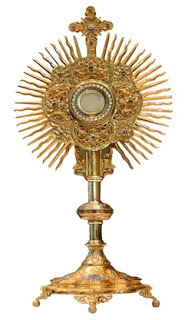 If we are thirsting for spiritual growth and experience of God's endless love, it is very important that we all spend minimum an hour every month before the Blessed Sacrament. 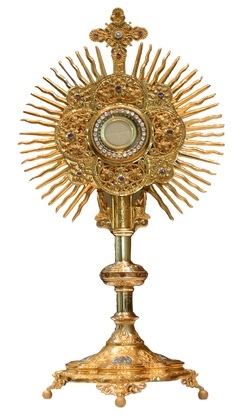 Adoration gives us the best opportunity to place before Jesus all our burdens and also to pray, praise and worship Him. Being in His presence will give us lots of strength and peace of mind. All of you who are able to come and adore the Lord with me are welcome!! There will be opportunity for confession; Fr Kuzhichali will be available during the Holy Hour. There will be prayers in Malayalam and English. Song in honor of Our Blessed Mother-- "Kanyaka Mathave kayak nee..."
May this year bring you spiritual growth, health, joy and prosperity. The song in honor of Our Blessed Mother is in the link that I am sending you all. God used me to create this song for his glory God in June 2016. It was requested and published in Kerala by a priest, Fr Charles Alookaran from Iringalakuda, as part of the celebration of his 25th anniversary of priesthood. The singer is Elizabeth Raju. God bless all of you in this New Year!